This is a multi functional range of seating, providing a solution for most needs within theatres and clinical areas. 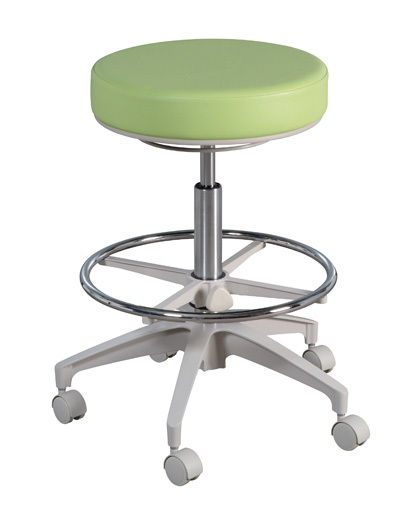 The HADV-NB is a round stool without backrest, with a high cylinder and adjustable foot ring. Can be used in all clinical areas. Height adjustable footring, upholstered seat pad (underneath), wipe clean base (underside).